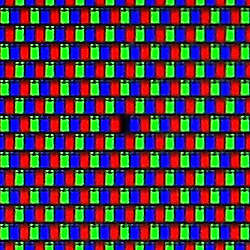 If you are a person who always dealing with LCD, either a PC monitor or notebook monitor, whether you are a computer technician, (2nd-handed) electronic trading, or an electronic appraiser at a pawn shop, then you will be faced to do some checks for dead pixel on the LCD, to make sure the LCD that you're receive is in good conditions. So how do we check them ?. Instead of buying or installing special software, we can actually make our self-made Dead-Pixels tester tool with Microsoft Powerpoint. Wait a minute,.. what is RGB and CMYK stands for? 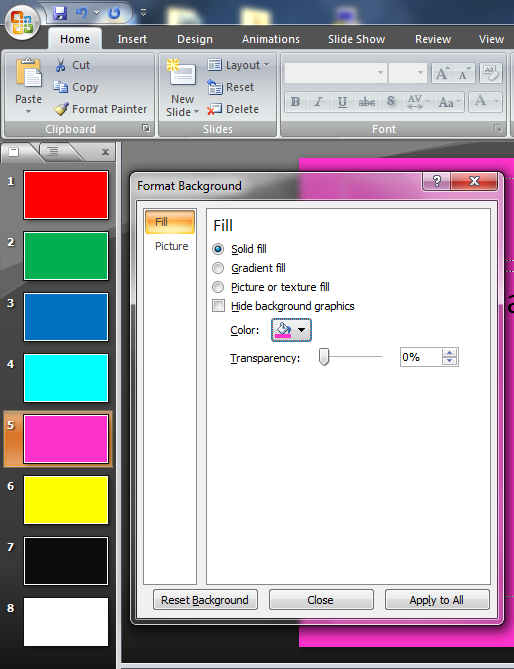 okay, here's RGB stands for : RED, GREEN, BLUE and then CMYK stands for CYAN, MAGENTA, YELLOW, BLACK. Furthermore for what is RGB and CMYK, you can read it at Wikipedia at here and here. Select Solid Fill, and select the RED color, and ensure transparency is at the level of 0%. 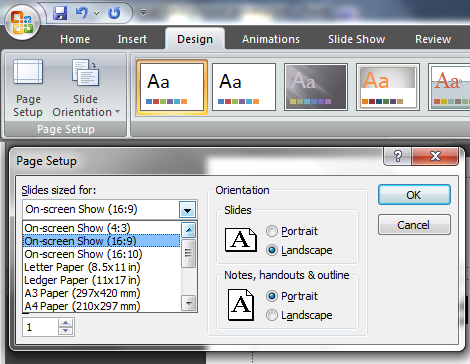 Save type presentation with Powerpoint Show (*. ppsx or *. pps), which later can be directly executed as executable files and without installation. Run the *. ppsx file that we've just created above. In every color, check carefully on your screen if there is black or white dots. If it exists, then the LCD is likely to have dead-pixel. Continue checking until the presentation is completed. 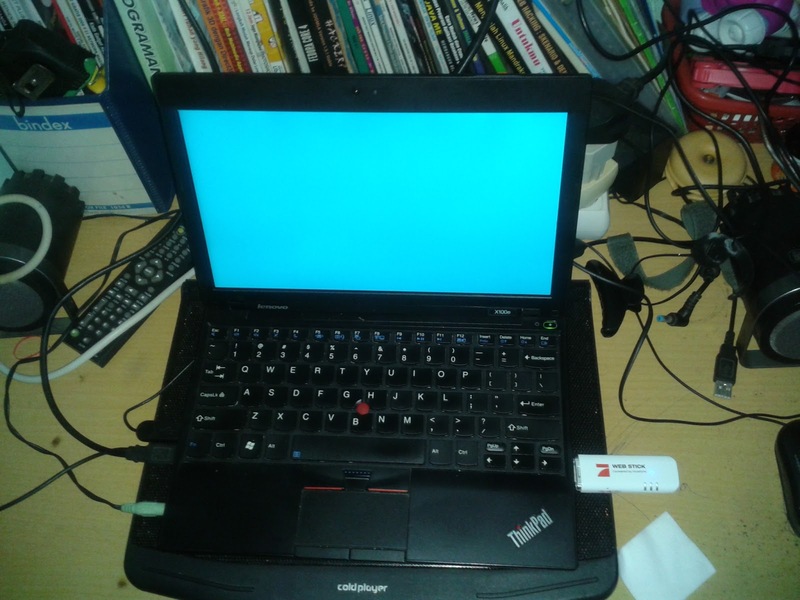 Keep in mind, this methods only to examine the dead-pixel on the LCD, rather than fix it.